HI!!!! WHAT´S UP? MY NAME IS ANA AND I LIVE IN PORTUGAL!!!!! 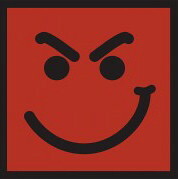 I LOVE BON JOVI SINCE THE KTF ALBUM, BUT JON TAKE MY BREATH AWAY... I´M WAITTING FOR MESSAGE. Welcome to this wonderful page! Hope you'll like it. 'Cause it is great! I'm from Croatia. We're close. O.K. Not so close, but at least not so far away! I'm too much talking! I'm giving you a welcome from China!!! it's so great to see we have more and more new faces here..
Yeah! And the ones who're active and sending posts. Hello Nocas i send you a welcome from france!!! WELCOME TO OUR TEAM, WELCOME TO WHEREVER YOU ARE!!!!! !